Scotland is home to some fantastic road trips, and in our time living in Scotland we have tackled a fair few of them. Some of them have become very popular, like the North Coast 500, which loops around the northern half of the country. However, there are many more road trips in Scotland that are worth your time exploring, one of which is the North East 250. This is a 250 mile self-drive road trip that includes Speyside, Aberdeenshire, and the Cairngorms National Park. It’s home to excellent whisky distilleries, fantastic stretches of coastline, cute villages, museums, castles, golf courses, and epic scenery. It’s also a much less travelled route than some of Scotland’s other road trips, making for an overall fantastic experience. 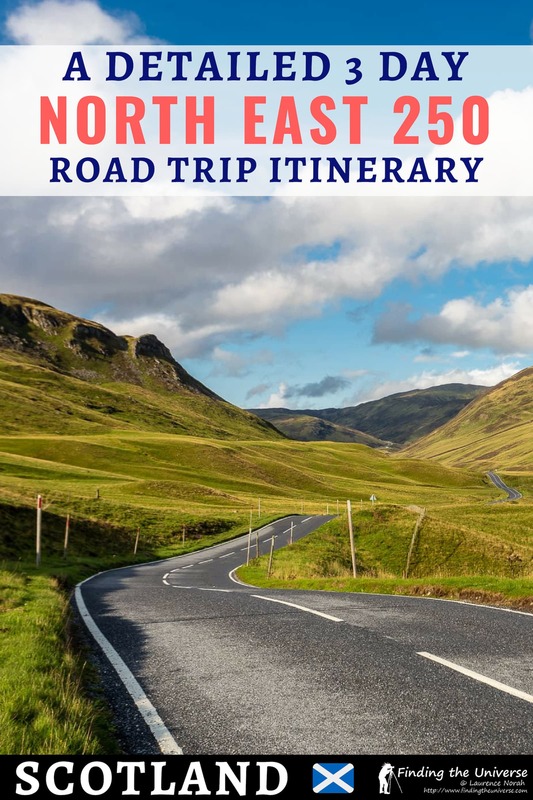 In today’s post, we’re going to share with you a 3 day North East 250 road trip itinerary, based on our time exploring this route. We’ll share the highlights of the trip, give you recommendations as to where to stay, tell you the best time of year to do the route, and more! Let’s get started. Where Does the North East 250 Start? How Long Does the NE250 take? 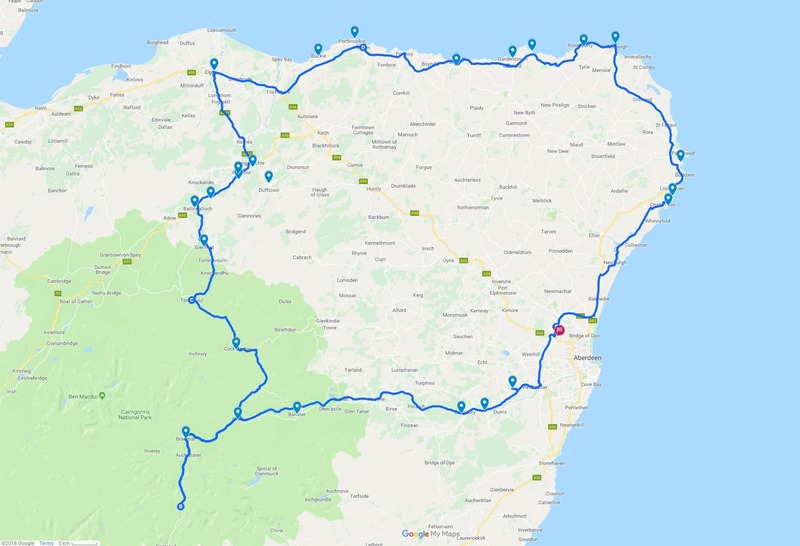 The North East 250 is a self-drive tourist route that runs in a loop, from Glenshee in the Cairngorms National Park, around the Moray Firth coast of Scotland. Along the way it passes through towns like Ballindalloch, Cullen and Fraserburgh, and it also passes right by Aberdeen. The North East 250 was launched as a driving route for tourists in 2017, to help give visitors to the region a guide to some of the highlights that there are to see here. Hint – there are many! It’s not a single road, and it follows a variety of routes and is rarely signposted as the North East 250. Some of the attractions are also a little off the main route, but as long as you follow our itinerary you’ll be fine. Being a circular driving route, you can start and end the route at any point. Officially, the three main starting points are Glenshee, Ballindalloch, and Aberdeen Airport. For our guide, we’re going to suggest starting from Aberdeen, as this is easy get to from around the UK by train or plane, and you can hire a car here. Alternatively, you can also head to Inverness and pick up a car there, in which case we’d suggest starting in either Ballindalloch or Glenshee. 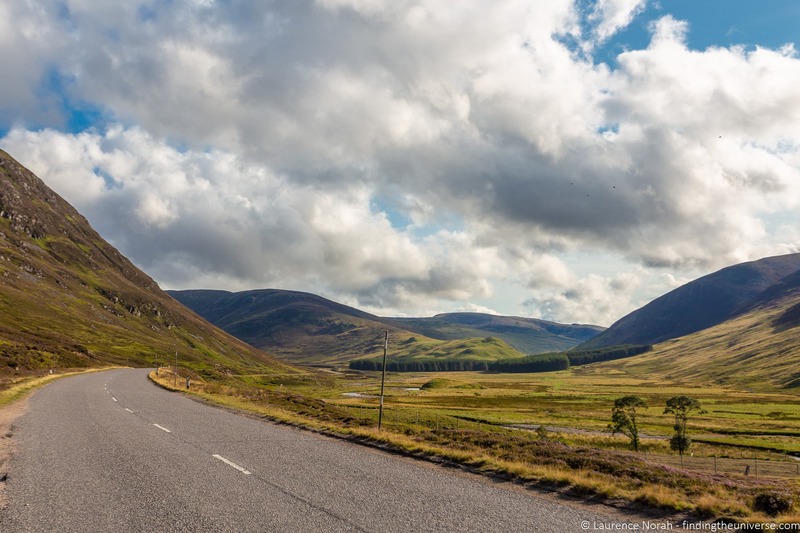 If you’re driving yourself from elsewhere in the UK such as Edinburgh or Glasgow, you will most likely be coming from the south of the country up the A9 road, in which case we’d advise starting around Glenshee. When we drove the route, we drove up from Edinburgh, and stayed overnight in Braemar before starting our road trip around the NE250. The NE250 is 250 miles long, so in theory you could drive it in a day. However this would rather miss the point of driving a scenic driving route. We’d suggest three days would be a good amount of time to drive the NE250, however there is plenty to do here, and you could spend 5 – 7 days slowly exploring the route if you wish. We’ve driven it a couple of times now and still have yet to stop at all the places of interest to us! We think three days is a good amount of time to drive the North East 250, as it will let you experience many of the highlights of the route and not be too rushed. If you also want to include Aberdeen, we’d suggest adding at least a day to your itinerary, as there’s a lot to do in the city. 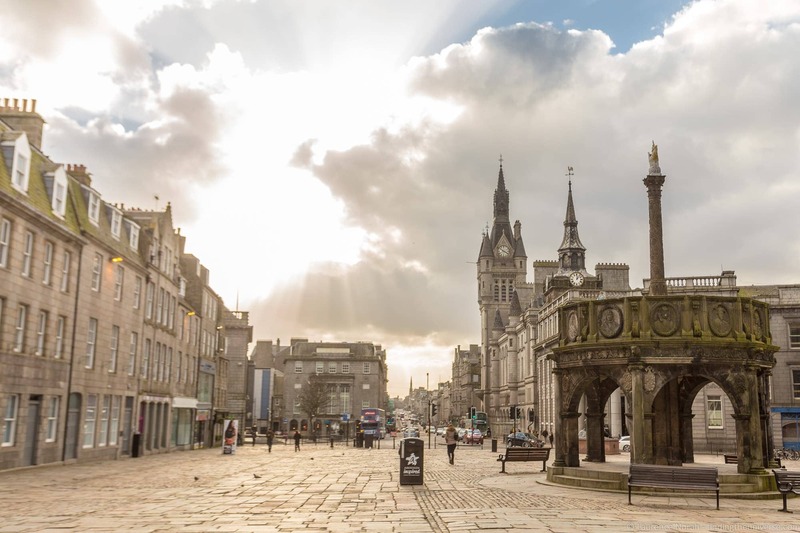 We’d highly recommend taking at least one day to visit the city and you can see our detailed guide to things to do in Aberdeen to help you plan your time. We’re going to drive the route clockwise, although as it’s a circular route, you can go in whichever direction you please. We’re going to assume you have three full days for the route, with your adventure starting in the morning of the first day. We’re starting our suggested itinerary from Aberdeen but you can start wherever makes the most sense for you. The official NE250 route goes right past Aberdeen Airport, so if you want to follow the route religiously you can do so straight away. Essentially, follow the C89C road south to the A93, then turn west. Today is going to be a day the focuses on cultural highlights, primarily Castles, museums, and galleries – including the Queen’s private residence in Scotland! Pick and choose what is of most interest to you! 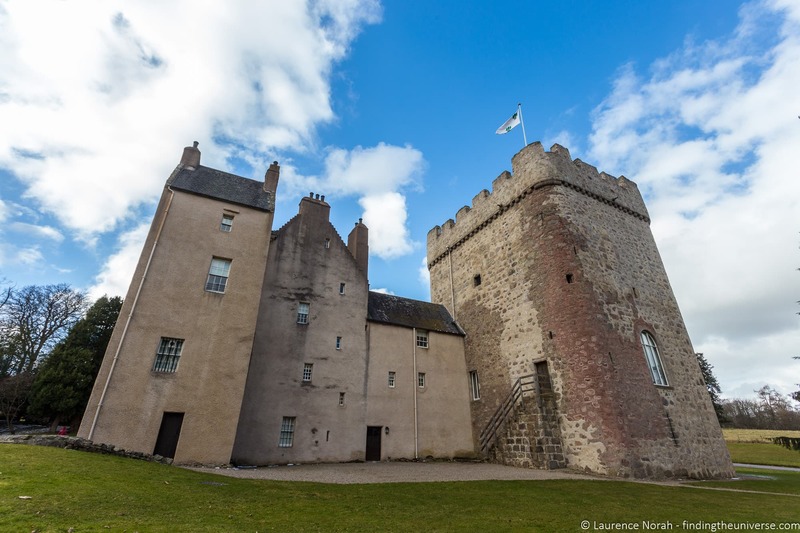 The first stop on your North East 250 adventure is Drum Castle. Originally the seat of Clan Irvine, this castle dates from the 13th century, making it one of the oldest tower houses in Scotland. As well as tours of the castle itself, you can also visit the castle grounds, which were landscaped in the 18th century. A short drive on from Drum Castle is Crathes Castle. This is a 16th century castle which features a turreted keep building which you can tour, a four acre walled garden, a stunning ancient yew tree hedge, and over 530 acres of grounds to explore. If you prefer, you can choose to visit only one of the above castles, and spend more time exploring the grounds. It’s up to you – we think both castles are well worth a visit. Also, both of the above castles are operated by the National Trust for Scotland. As UK residents, we have both bought a National Trust membership, which gives us free access to these properties, and hundreds more across the UK. US residents can join the Royal Oak Foundation for similar benefits when visiting the UK. Another option, if you’re visiting from overseas, would be to invest in the Scottish Heritage Pass (valid from April to October). This lets you visit over 120 sites across Scotland, including both National Trust for Scotland and Historic Scotland properties, and if you visit a few of the properties on this NE250 itinerary, will easily pay for itself. Just ten minutes drive from Crathes Castle, you will come to Banchory Museum. This is a lovely local museum with lots of information about the local history of the area, including archaeology displays and information on local culture and traditions. Heading on from Banchory Museum, you will come to the town of Ballater, on the River Dee. 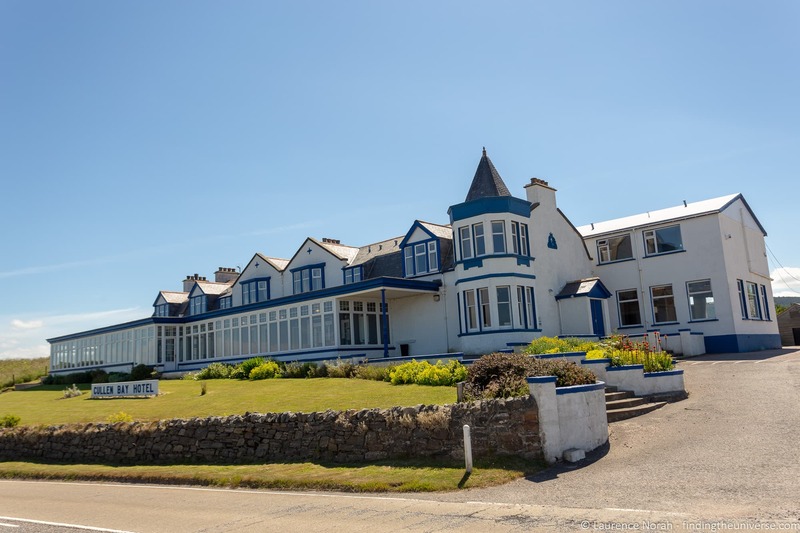 This was a Victorian Spa resort, and visitors have been coming here since the Victorian times as a result of the nearby Balmoral Castle, the holiday home of the British Royal Family. You can learn all about the Royal connection in the town’s visitor centre. The town is also home to cafes and shops, as well as a number of art galleries – Larks Gallery which is in Ballater, and the McEwan Gallery, which is a short drive away. 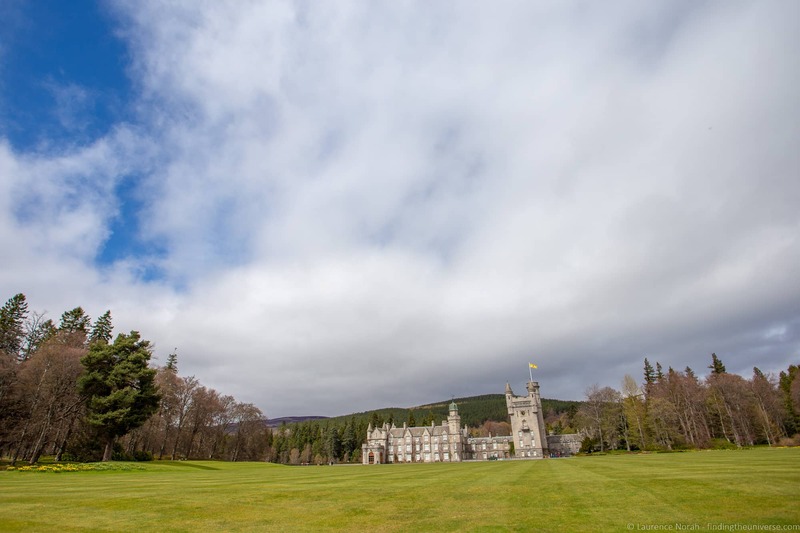 Your last major stop for the day before heading to your accommodation is going to be the stunning Balmoral Castle, found in far west end of the Cairngorms National Park. Since 1852, this has been a private residence of the British Royal Family, who traditionally come here every year in July for a long summer break. Balmoral was bought by Prince Albert, husband to Queen Victoria, and after purchasing it they constructed the new castle, completed in 1856, which is what visitors can see today. Queen Victoria’s visits to Balmoral were a major factor in increasing tourism to Scotland in general, and the highlands in particular. The Castle stands on the Balmoral Estate, which spans 50,000 acres of land. For part of the year, before the Queen’s annual visit, the grounds immediately surrounding the palace are open for the public to visit. Visitors can also visit the castle’s ballroom, although the rest of the interior is closed off to visitors. We really enjoyed visiting Balmoral Castle and wandering the grounds, and highly recommend it to anyone driving the NE250. Finally, you’re going to head to Braemar, which is where we recommend you spend your first night on the NE250. 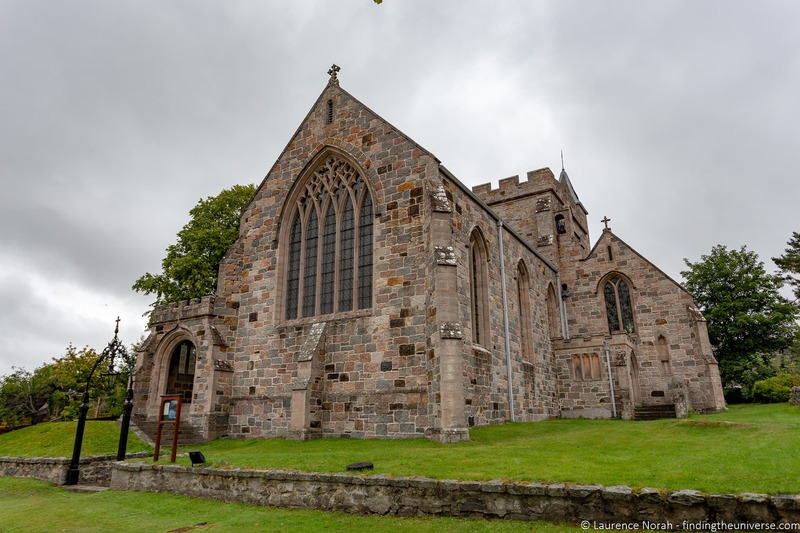 Braemar is a lovely village with a number of pubs and hotels (see our recommended options below), as well as attractions that are worth visiting, including Braemar Castle and St Margaret’s Church. Before you turn in though, we suggest driving through Braemar and on to the Glenshee Ski Centre on the A93 road. This will take you high up into the Cairngorms National Park mountains, and will offer you spectacular views of the surrounding landscapes. It’s only around a 10 to 15, and well worth it if the weather is nice. For your first night on the NE250 we recommend staying in the town of Braemar, which has a variety of accommodation options. Braemar Youth Hostel – Those of you on more of a budget, or who prefer a hostel environment, will want to check out the Braemar Youth Hostel. This offers both private and dorm style accommodation, laundry and kitchen facilities, and a friendly communal shared lounge. Braemar Lodge Hotel – On our first visit to Braemar we stayed at the 3-star Braemar Lodge Hotel. This is easy walking distance to everything in the village, has an on-site bar and dining, and rooms were comfortable and well priced. 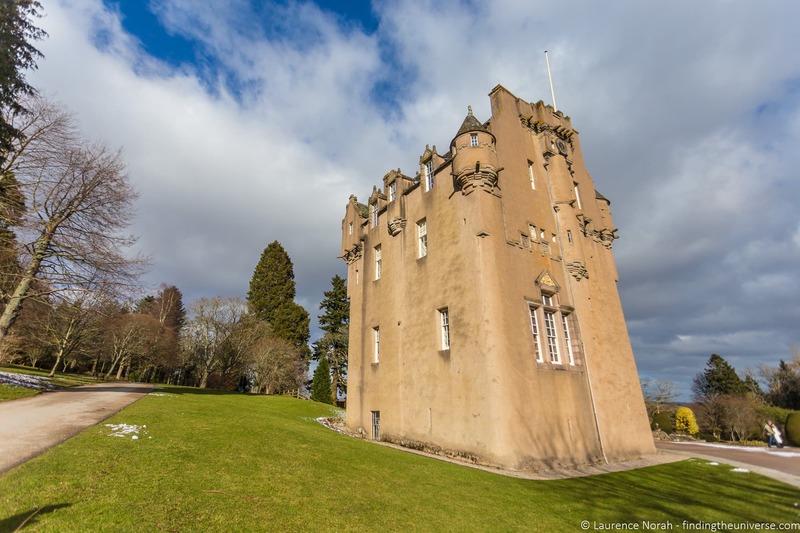 Dalmunzie Castle Hotel – If you don’t mind staying outside town, this lovely castle hotel dates from 1510, and is set in a secluded glen around 15 minutes drive from Braemar. We stayed here once as part of a visit to the Cairngorms, and loved it. The rooms are cosy, staff were attentive, and the on-site restaurant was excellent (if a little pricey). Now – on to day 2! For the second day of your North East 250 road trip we’re going to start heading north, taking in some of Scotland’s most famous and well known whisky distilleries, as well as some more stunning castles and Moray Firth Coastline! 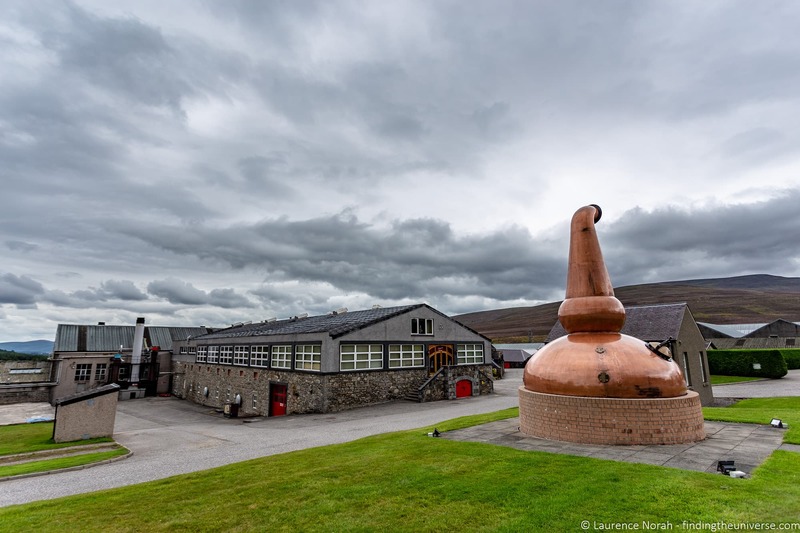 As a point of note, this day includes multiple whisky distilleries as you’ll be driving through the world famous Speyside whisky distilling region of Scotland (home to over half of Scotland’s whisky distilleries! ), along the Malt Whisky Trail. This trail is home to a total of eight distilleries. We would advise you pick one or two distilleries to visit rather than trying to visit them all – perhaps pick a brand name you are familiar with, or a distillery tour that sounds interesting. It’s also worth mentioning that the Scottish drink driving laws are very strict, more so than in the rest of the UK. The good news is that most distilleries recognise this, and will give designated drivers their whisky samples in a to-go format. We’ve included quite a few distilleries so you have an idea of where they fit in the day, but please don’t take this as a suggestion to visit them all as you won’t have time to do anything else! After leaving Braemar, your first stop today will be Corgarff Castle, a 16th century tower house with a star-shaped outer wall. This was originally a residence for nobles, but during the Jacobite rebellion it was converted for use as a military base, and used by the “Redcoats”, or British Army soldiers as a base from which to hunt down Jacobites and Jacobite sympathisers. A visit here will teach you all about life in this remote and isolated castle, and as well as the castle itself, you can see the reconstructed barrack rooms to get an idea of where the soldiers were stationed. The site is managed by Historic Scotland, and an entry fee applies. It’s included on the Scottish Heritage Pass. 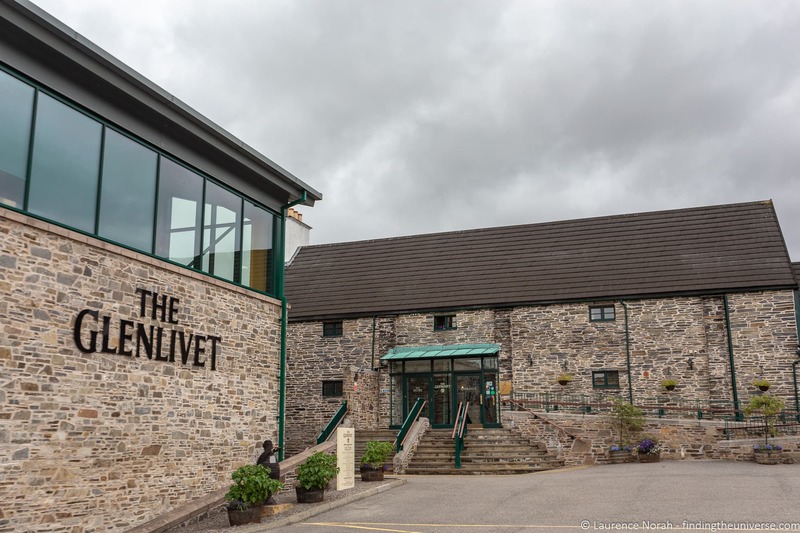 The first distillery on your road trip is The Glenlivet. This distillery has been in almost continuous operation since 1824, and the single malt they produce (six million bottles a year! ), is the biggest selling single malt whisky in the USA, as well as the second most popular global brand. If you were only to visit one or two distilleries today, as suggested, then this one might be on your list. This was the first legal distillery in the Speyside region, and one of the few that has remained in almost continuous operation. It survived the Great Depression, and distillation only stopped during World War 2. After the war, Britain desperately needed foreign income, and exporting whisky was one of the ways that to generate that income. In fact, so much grain was used for making whisky that bread continued to be rationed until 1948, as the creation of whisky was deemed to be more important! Naturally, the distillery is open for tours. As with most distilleries, these come at a variety of price points, with more expensive options giving more extensive whisky tasting options. You can also visit the shop and exhibition, and there’s an on site coffee shop. 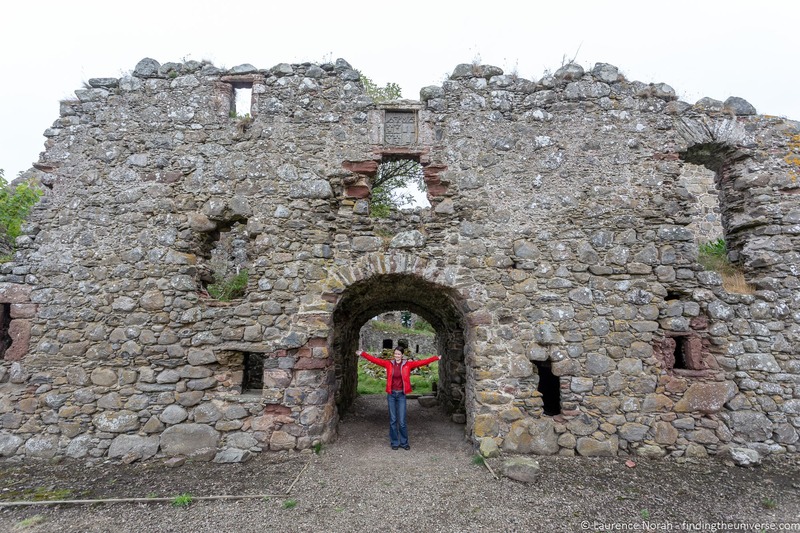 The family home of the Macpherson-Grants since 1546, and still privately owned and lived in by the same family, Ballindaloch Castle is a gorgeous castle estate which is well worth a visit. As well as touring the castle itself, you can visit the walled garden and wander the wonderfully landscaped gardens, as well as visit the cafe and gift shop. There’s also a good video on the history of the castle and family who own it, which is worth watching. In fact, Jess literally bumped into Guy Macpherson-Grant, an owner and local businessmen who helped start the North East 250, while touring the castle. Fees apply for entrance, and as this is a private property. It’s not included on any passes that we know of. Founded in 1836, Glenfarclas is another popular Speyside whisky distillery which can be visited. The distillery produces over 3 million litres of whisky a year, which range from a 8 year old all the way up to a 40 year old. 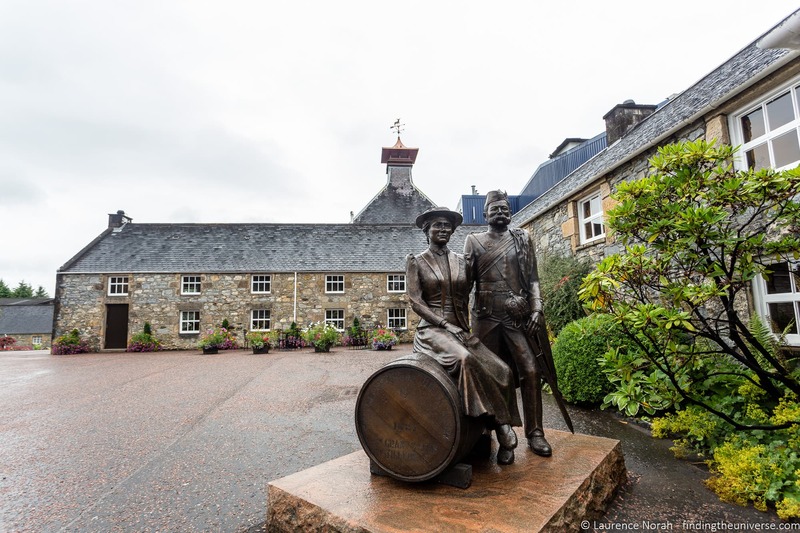 Glenfarclas is notable as being one of the first of the distilleries in Scotland to welcome visitors, with their visitor center opening in 1973. As such, they know a thing or two about showing folks around their operation. Naturally, you can take guided tours of the production facility, try the whisky, and see some of the 68,000 casks of whisky which are maturing on site! Those of you who love waterfalls will want to stop in the town of Aberlour (where you can also visit the Aberlour distillery of course). 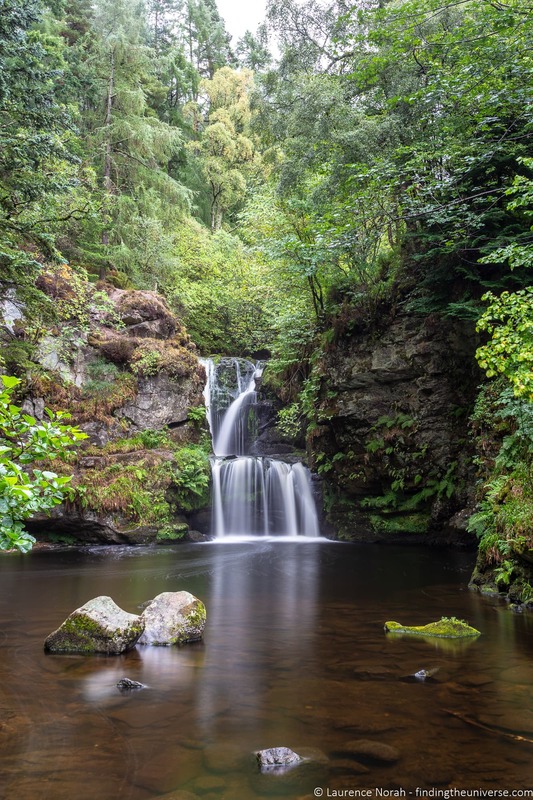 Here, there is 10 minute relatively easy walk (20 minute round trip) that you can take to Linn Falls, which are a pretty two tier waterfall reached via a woodland walk which will take you past the Aberlour distillery. The falls are not huge, but they are pretty and well worth the short walk to reach. Also in the town of Aberlour is the Speyside Way Visitor Centre. 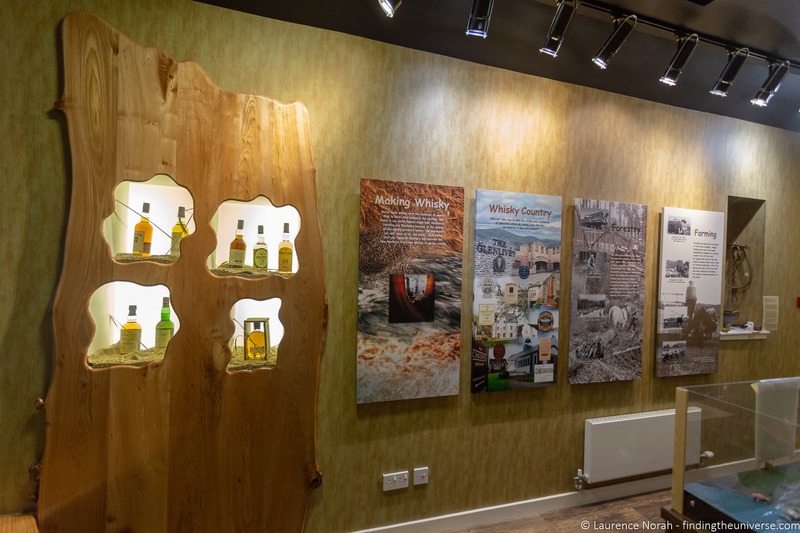 This is found in the former Aberlour railway station, and is a wonderful little museum that details the history of the town and surrounding area, as well as the Speyside distillery, transport history of the area and more. It is staffed by wonderfully knowledgeable local volunteers, and there’s loads of useful information to be had here, as well as video presentations on the area. We highly recommend a stop here and a moment spent chatting with the volunteers, who were very friendly, and insisted on giving us shortbread when we donated to the visitor centre’s upkeep! Next door to the visitor centre is the Old Station Tea Room, where you can get hot and cold drinks, as well as various snacks – many of which are homemade. In order for a whisky to qualify as a single malt scotch whisky, it needs to meet some criteria. It needs to be made exclusively from malted barley, it must be distilled in a pot still at a single distillery, and it needs to be aged for at least three years in an oak cask that can hold no more than 700 litres of whisky. The third requirement means that there is a need for a lot of barrels in the Scotch whisky production business, and especially so in the Speyside region, where over half of all Scotch whisky is produced. 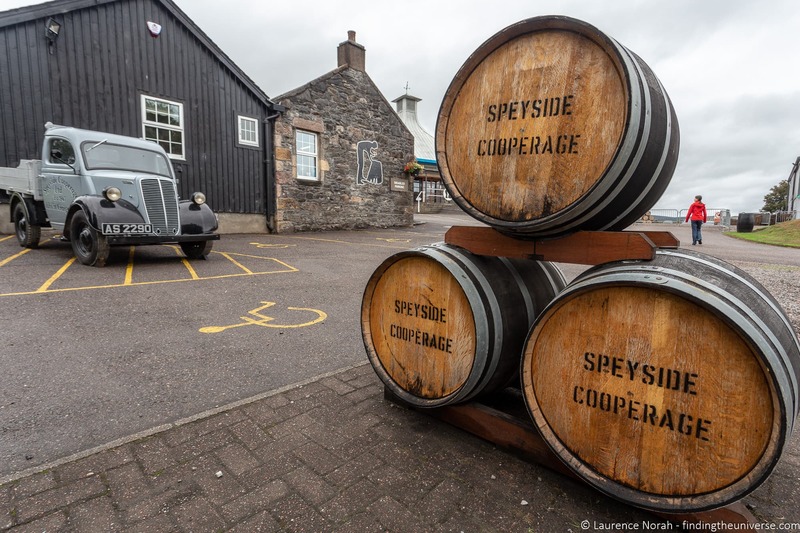 If you’re interested in learning all about the art of creating these barrels, by a person known as a cooper, then you should head to the Speyside Cooperage Visitor Centre. Every year this cooperage produces and repairs over 150,000 oak casks, which are used both in Speyside and throughout Scotland for maturing Scotch whisky. It’s the only cooperage in the UK that you can visit, and here you can learn all about the traditional art of making a cask from start to finish. There is a fee to take the tour, and there’s also a cafe and shop on site. Glenfiddich is the world’s best selling single malt Scotch whisky. Owned by the Grant family since 1886 (who also produce the well-known blended Grant’s whisky), this is a wonderfully photogenic distillery, and certainly one of the more popular distilleries to visit. We’d say that if you don’t know too much about whisky distilleries, and only wanted to visit one on your NE250 road trip, this should definitely be on your short list. 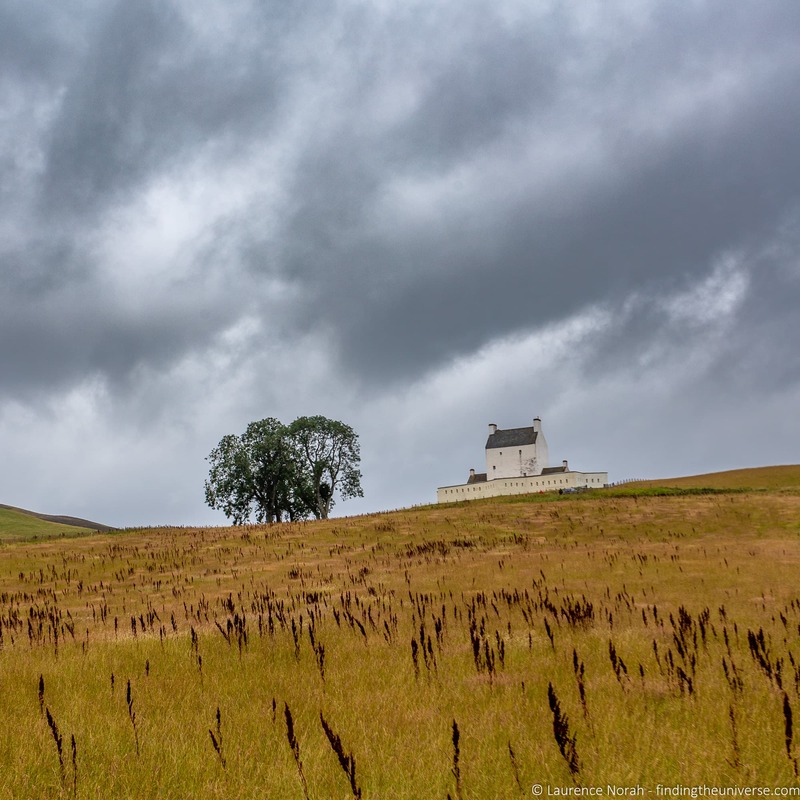 Glenfiddich is a lovely distillery to visit for a number of reasons. It has unique, swan necked shaped stills, as well as a lovely “old world” feel to its distillery, helped by a number of vintage cars which decorate the property. During the period of prohibition in the USA, Glenfiddich went against the trend of other distilleries, and stepped up production. Many other distilleries throughout the UK and Ireland closed. This put them in a very strong position when prohibition ended, as they had a good stock of aged whiskies to sell to a suddenly thirsty market. Glenfiddich is also interesting as they have their own on-site cooperage, as well as a dedicated team of craftspeople and coppersmiths who maintain and build their handmade unique copper stills. Standard tours run throughout the day and last 90 minutes. They include a tour of the distillery, a look at the maturing whisky in oak casks, and a tasting. There are also a number of longer, more premium tours, for those looking to get more information and try a larger range of more premium Glenfiddich offerings. As well as tours, visitors can visit the on-site bar, restaurant and gift shop. That is it for whisky distilleries in this guide, although we have barely scratched the surface of what is available! Certainly, lovers of Scotch whisky will have no trouble scratching that itch in this part of the world. If whisky is your primary reason for heading up in this direction, we’d suggest that perhaps a whisky tour like this three day Speyside whisky tour from Edinburgh, is going to be a better option than self-driving, as you’ll be able to sample the whisky as you go, and let someone else handle the guiding and driving. A similar tour is also available as a 1 day tour from Inverness, and a 1 day tour from Aberdeen. If you are interested in doing the NE250 as part of a tour, we have a section on that further down in the post. 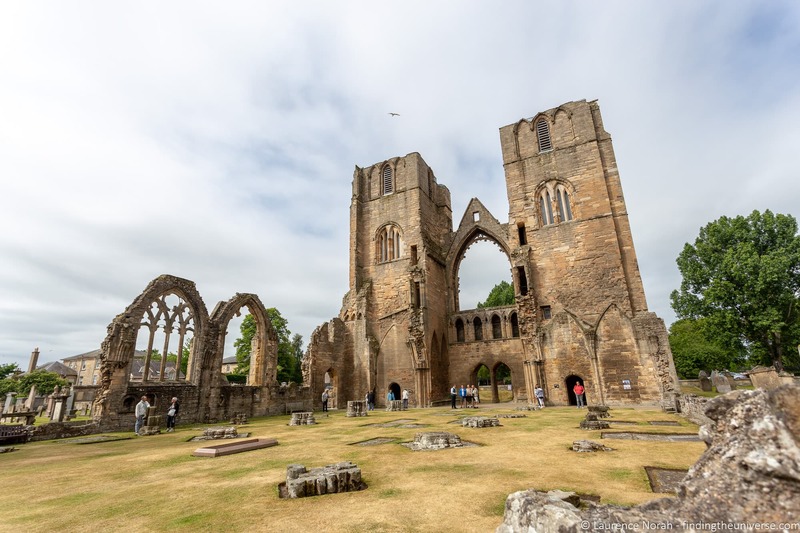 Whilst Elgin Cathedral does require a little bit of a detour from the main NE250 route, we think that it’s a detour that is well worth making. Originally built in 1224, this was for a time one of the most spectacular medieval cathedrals in Scotland, earning itself the nickname the “Lantern of the North”. It was gloriously decorated with paintings, stained glass, and carvings. Unfortunately, following the Protestant Reformation in 1560, the cathedral fell into disrepair, and the loss of its roof shortly after the reformation did not help matters. It slowly crumbled into decadent ruin, with its fortunes only changing in the 19th century, when it became a popular visitor attraction for Georgian and Victorian travellers to Scotland. Since then, Elgin Cathedral has impressed visitors from around the world. The two medieval stone towers can still be climbed, with various displays and exhibits found within them as you ascend to the roof for wonderful views. Another highlight is the octagonal chapter house, which is in a good state of repair, and is filled with stone carvings of beasts and faces. 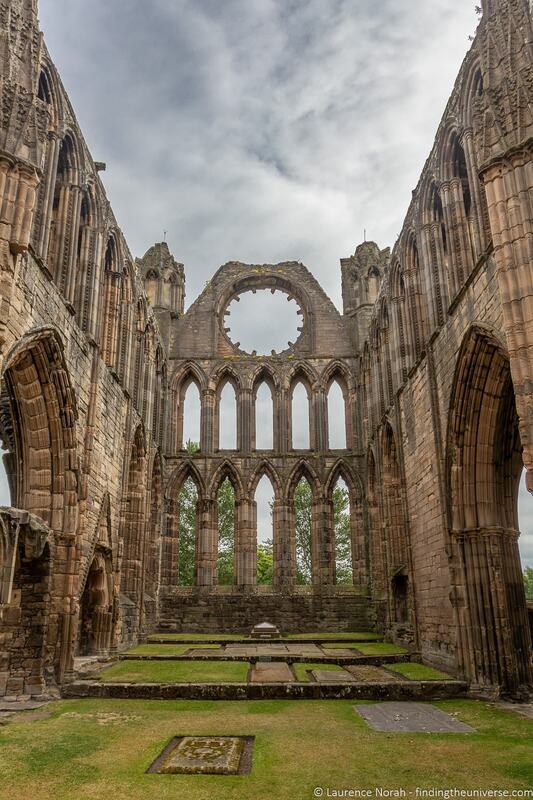 Elgin Cathedral is managed by Historic Scotland, and a fee applies for visiting. It is included on the Scottish Heritage Pass. 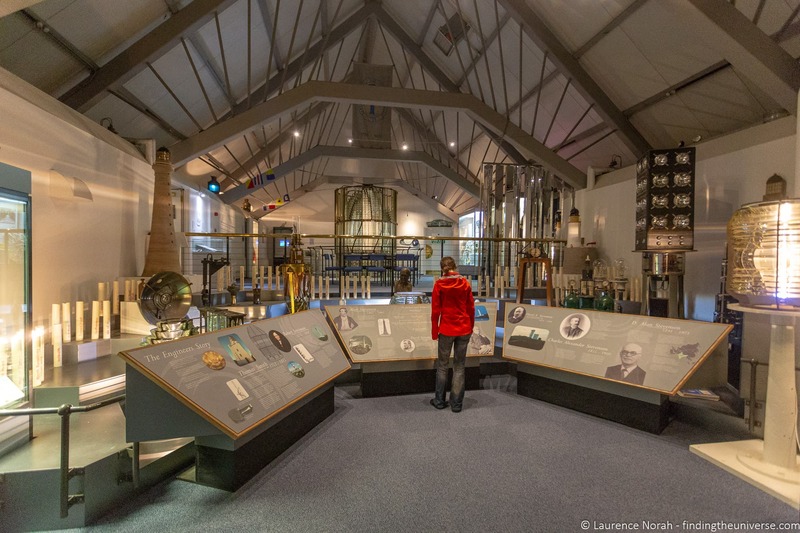 Whilst you are in Elgin, you may also consider visiting the free and excellent Elgin Museum, Scotland’s oldest independent museum, which has displays on all sorts of things through both history and prehistory of the surrounding area and the world in general. The volunteers here were very friendly and informative. 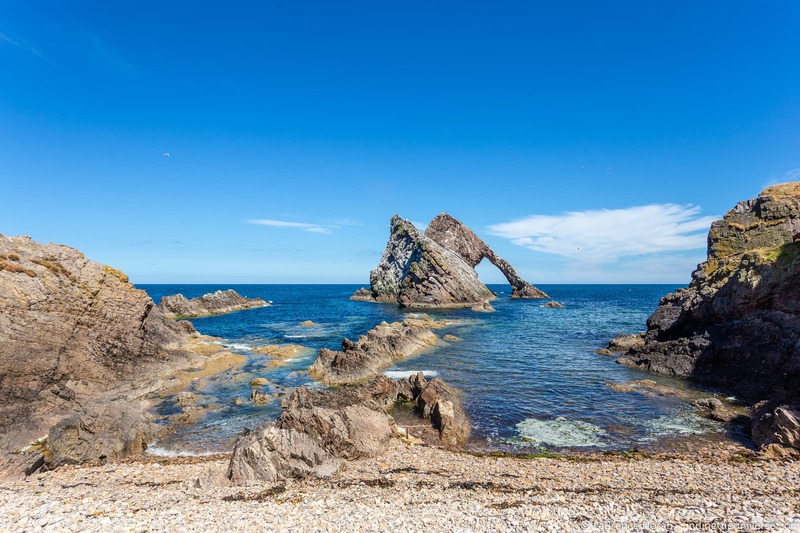 You’re now going to be driving along the beautiful Moray Firth coastline, which has a rich cultural history, a deep connection with the sea, and stunning seascapes to admire. 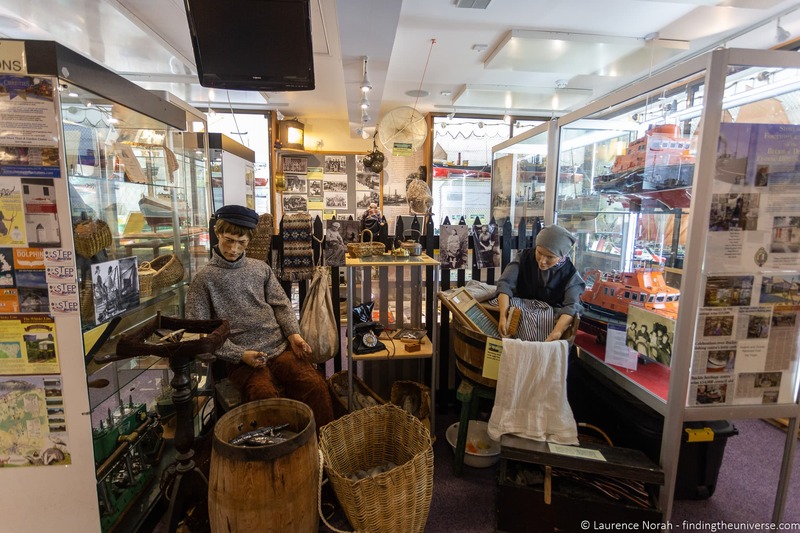 If you’d like to learn a bit more about the history of the regions connection with the sea, and in particular fishing, then we can highly recommend a visit to the free Buckie & District Heritage Center, found in the town of Buckie. Here you can learn all about the unique fishing history of this part of the world, through an extensive range of photographs, model boats, and a variety of other items. There are also volunteers on hand who in our experience were more than happy to help us with any questions we had. Our last stop on today’s stretch of the NE250 is the wonderful Bow Fiddle Rock, found just north of the cute village of Portnockie. This is a uniquely shaped rock arch which resembles the tip of a fiddle bow. It’s a very short walk down to the rock from the parking area (less than five minutes), and the rock is just offshore. It would make for a wonderful spot to watch the sunset, and is a fine place to end our day of exploring. Our suggestion for your second night on the North East 250 is the town of Cullen. When you travel in Scotland, you are bound to see cullen skink on some of the menus, a hearty soup made with smoked haddock, potatoes and onions, which originated in the town of Cullen. We think if you are going to eat Cullen Skink in Scotland, you should come to the source for the best stuff! 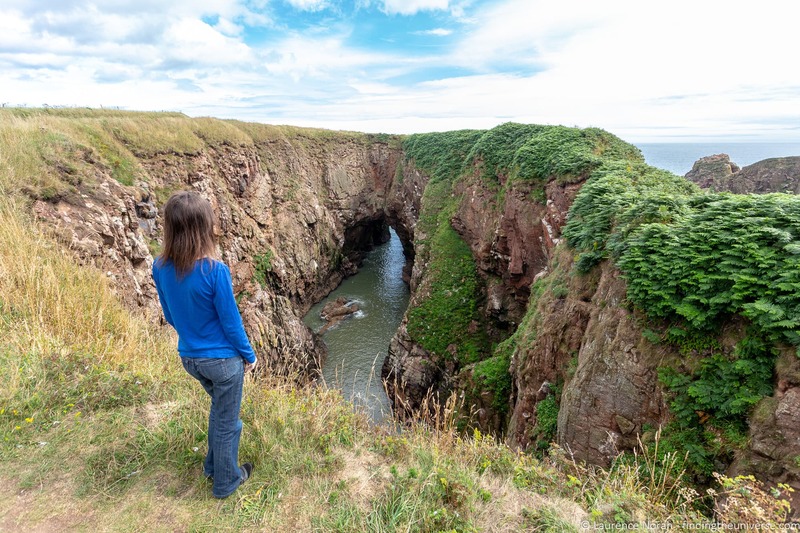 There is more to see in Cullen, including a beautiful town area, a famous viaduct, and a lovely beach. Here are some accommodation options in Cullen we suggest. Cullen Bay Hotel – This well reviewed hotel has a fantastic location above the coast, with excellent views. It is also home to an award winning cullen skink (we thought it was excellent too and tried both versions!). It’s a little outside the town. Holiday homes – As well as the above hotels, there are a number of self-catering options in Cullen which you can see here. 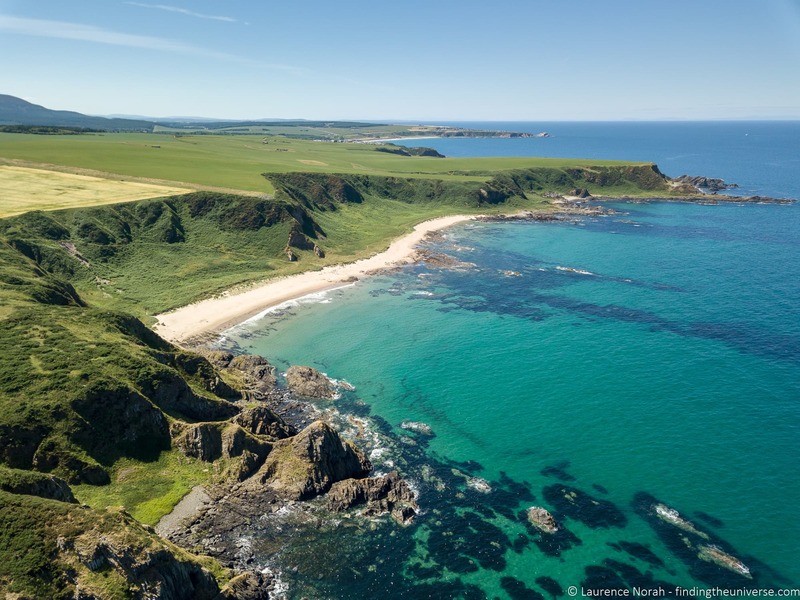 Your third day on the North East 250 has you continuing along the Moray Firth coast, visiting ruined castles, fascinating museums, and taking in some stunning beaches, before completing your circuit and finishing in Aberdeen. If you are a golfer, this is also a good day to consider stopping for a round of golf, just be sure to book a tee time in advance. Again, there’s lots to see and do on this stretch, so do feel free to adjust the itinerary to meet your interests and pace, as you are unlikely to be able to do all the below full justice if you try and visit them all. 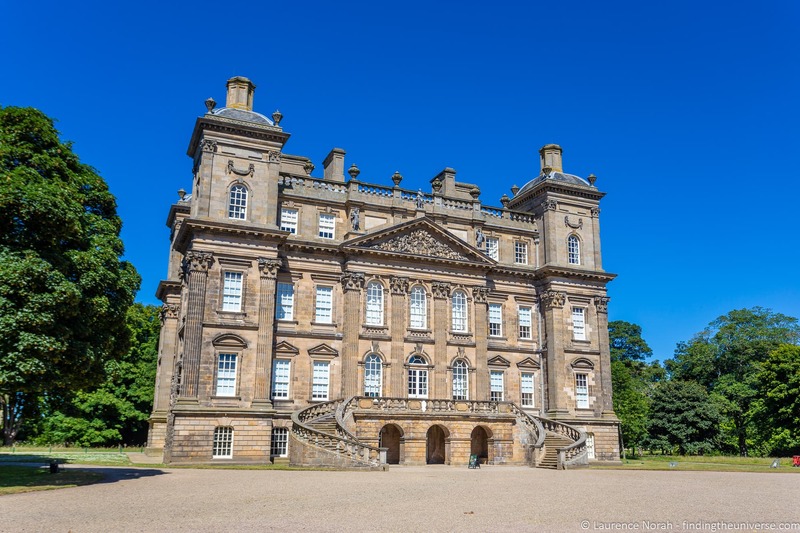 Found in the town of Banff, Duff House is a gorgeous Georgian estate house which was designed and built by William Adam, Scotland’s foremost architect of his time. Duff House was originally the home of William Duff, the first Earl of Fife, and it belonged to the Duff family until 1903. Since then it went through various owners, and it has been a hotel, a santatorium, a prisoner of war camp, and a barracks. Today it is a part of the National Galleries of Scotland, and is cared for by Historic Scotland. The property is open for visiting, and you can explore the house and admire the architecture, learn about its history and uses, as well as appreciate some of the paintings and artwork on display. There are also extensive landscaped gardens to explore. You can visit the shop and tea room for free, but access to the rest of the house is by admission only. It’s a Historic Scotland property, so Historic Scotland members can visit for free, as can holders of either the Historic Scotland Explorer pass, or our recommended pass for this trip, the Scottish Heritage Pass. A little further along the coast from Banff you will find the wonderfully picturesque coastal village of Gardenstown. This literally clings to the side of the cliff here, with the oldest part of the village found at the base of the cliffs, and the newer parts found further up as villagers looked for space to build. Gardenstown is well worth a short stop and explore. There are some lovely houses to admire, a small museum about the town’s history, and some cafes and craft stores. There are also some bed and breakfast options in the town if you’d prefer to stay here. We felt that we couldn’t have a road trip around this beautiful stretch of coastline without mentioning at least one beach, although if it’s beaches you are after, there are plenty to sate your appetite. Cullykhan beach, which is near the RSPB Troup Head nature reserve (a must for bird lovers), is a lovely sandy beach, reached via a few minutes walk from the car park. It’s not a huge beach but it is very pretty. If you like your castles of the ruined, crumbling variety, then you should make a stop at Pitsligo Castle. You might also consider visiting Findlater Castle earlier on in the day, which is near to Cullen. Pitsligo Castle was originally a 15th century keep, which was expanded in the 16th and 17th centuries. Today it stands largely in ruins, although there is still plenty to see here. We enjoyed visiting these ruins – we were the only visitors, and other than a herd of sheep, we saw no-one else during our time here. The castle has a definite feeling of neglect and abandonment, although efforts to restore it are underway. Care should also be taken when visiting as this is an old ruin, and may be unstable. Scotland has a lot of coastline, which made it a fairly dangerous place for ships to navigate around. To help alleviate this problem, a network of lighthouses was set up around the coastline, and to learn all about their fascinating history and evolution, a visit to the Museum of Scottish Lighthouses is in order. This museum, which features a tour of the original Kinnaird Head lighthouse, is filled with all sorts of artefacts and information all about the history of lighthouses, lighthouse technology and the lighthouse keepers who used to run these unique structures. There’s a fee to enter the museum, which includes an excellent guided tour of Kinnaird Head lighthouse, which is a fascinating building as it was built inside a former castle keep by renowned Scottish lighthouse builder Robert Stevenson. You can also tour the museum itself on your own. Directly next door to the Museum of Scottish Lighthouses is another museum, the Museum of Fraserburgh. We didn’t have time to visit this when we were here, but it definitely looked like the sort of place we would enjoy, so do consider stopping in here as well. An active prison from 1888 to 2013, Her Majesty’s Prison Peterhead is now the Peterhead Prison Museum. Here you can learn all about what life was like in this prison, both for the inmates and the guards, as well as the history of the prison, which had a number of notable events happen during its history. The visit is brought to life by an excellent audioguide, which tells the stories of both the inmates and the guards. It’s informative and insightful, and often times disturbing and bleak. Life in prison was certainly no bed of roses for either the guards or the prisoners, and the tour pulls few punches. 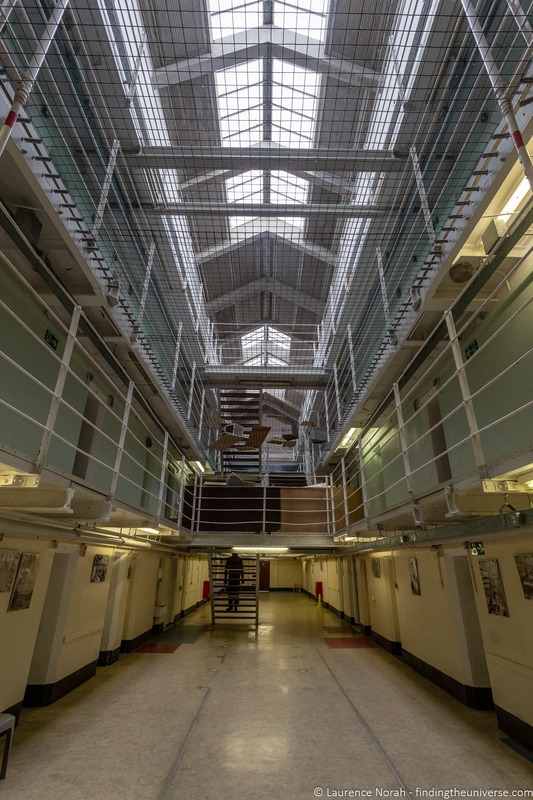 Some of the folks who work here were actually guards, including the guard who was taken captive by the prisoners during the infamous 1987 Peterhead prison riot. That riot, which protested the fairly grim conditions the prisoners were held in, had the prisoners take control of part of the prison, and was only ended when Britain’s special forces unit, the SAS, stormed the building. This is certainly fairly dark tourism, but is a worthy inclusion, and is certainly unlike anything else you’ll see on your NE250 road trip! There is also a cafe you can stop at towards the end of the tour for coffee and sandwiches – we stopped here and had a coffee and a pie each. Heading south of Peterhead, our next stop on the last day of this North East 250 road trip is the Buller of Buchan. This is a huge collapsed sea cave, 100 feet deep, which makes for a dramatic scene. There are also some very cute cottages here which were originally a fishing village. There’s a free carpark on site here just off the road, and the walk to the Bullers of Buchan is only a few minutes from the parking area. If you wanted to take a longer hike, you can also walk from here along the coast on the Buchan coastal footpath, which runs in both directions from here, including to our next stop. There are actually two Slains Castles in the area here, the 13th century Old Slains Castle, and the 16th century New Slains Castle. We suggest you visit New Slains Castle, which in our opinion is the more interesting of the two. 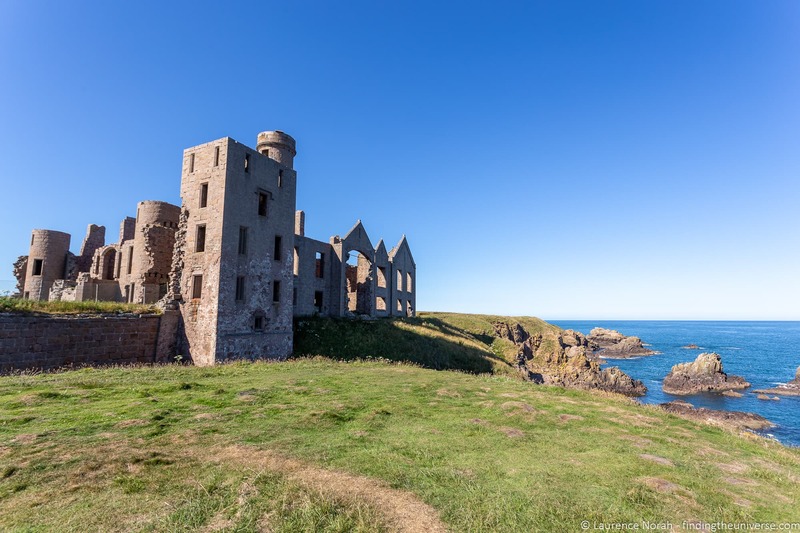 New Slains Castle is a ruined 16th century tower house which been redesigned a number of times, which perhaps accounts for its rather odd appearance. 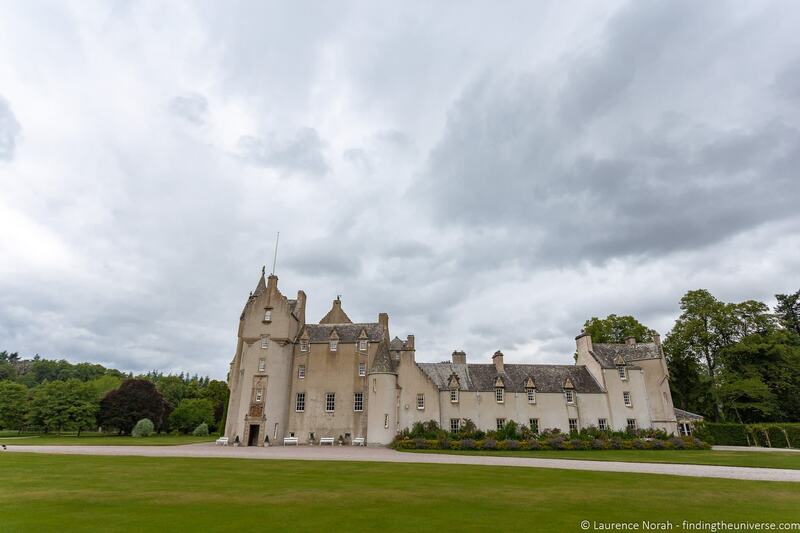 Its most recent renovation was in 1837, when it was rebuilt as a Scots Baronial mansion. However, to avoid tax it had its roof removed in 1925, which as you may imagine has not exactly helped it weather the elements, and it is currently in a fairly advanced state of ruin. It is still a magnificent building though, and you can wander around the interior, which is a maze like series of rooms, whose roofs are clearly open to the sky. The castle has had some noteworthy visitors, in particular Bram Stoker, the author of Dracula, who stayed near here in 1895. The castle is believed to have been part of the inspiration for the aforementioned novel. Slains Castle is currently free to visit, and as with any ruin of this sort, we advise care as it might be unstable. If you would like to fit in a round of golf during your NE250 road trip, this might be the best day to do so, although of course you will have to adjust the itinerary to suit. Just note that the majority of golf courses will require an advanced tee time booking. Some of the more popular courses that you will be near on this day include Cruden Bay Golf Club, Trump International Golf Links, Banchory Golf Club, Peterhead Golf Club, Fraserburgh Golf Club and Deeside Golf Club. There are also courses that you will pass on the other days of your trip, including the 9-hole course at Balmoral. For more information, take a look at this more complete listing of Aberdeenshire golf courses. So that brings to an end our last day of driving the North East 250! For your final night, we suggest staying somewhere between Slains Castle and Aberdeen, depending on your onward journey plans. Here are some recommended options. 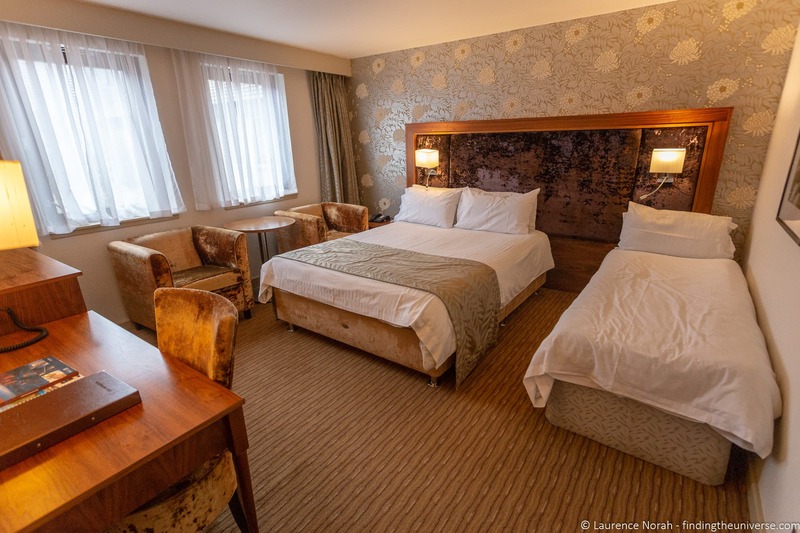 Buchan Braes Hotel – We’ve stayed at this modern 4-star hotel when driving the NE250. It’s conveniently near the Peterhead Prison Museum and Slains Castle. Rooms were comfortable, the on-site restaurant was very good and it’s excellent value. Hosefield Bed and Breakfast – If you’re looking for a bed and breakfast, Hosefield B&B is a well rated option. All rooms are en-suite, there’s a shared lounge area, and an excellent breakfast is included. Station Hotel – A highly rated 2* option with air conditioned en-suite rooms, on-site dining and free parking. A good option for the budget conscious. MacLeod House & Lodge – If you want to finish on a high note, this luxury 5-star property might be just the place to do it. 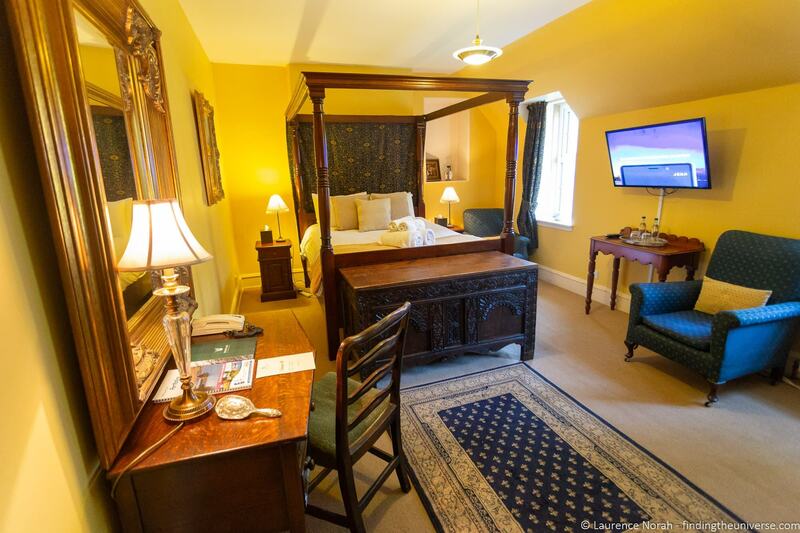 Rooms feature large TVs, marble bathrooms, there’s a full restaurant on-site, and the property itself is a lovely baronial mansion. There’s also an on-site 72 hole golf course. To help you visualise your North East 250 road trip we’ve put together this map, which highlights our suggested route as well as the various attractions for each day. You can also see this map on Google Maps here. Whilst the route can be driven at any time of year, our recommendation is to drive the North East 250 between the months of April and September for the best experience. This is for two reasons. First, the weather is going to be more reliably good. Whilst we can’t guarantee glorious sunshine every day, it is more likely to be sunnier, and it should be warmer than in the winter months! For the best weather and quietest roads, our preferred month to do this trip would be May or June. These months will also have long days, letting you fit more sightseeing in! The other reason to drive the NE250 at this time of year is that many of the attractions are not open over the winter months, so if you actually want to visit and go inside some of the castles and other attractions on the route, then you will need to drive it when these are open. A particular note must be made for Balmoral, which has limited opening dates. If Balmoral is on your wishlist of places to visit, you definitely want to check it will be open when you visit. If you would prefer to experience the North East 250 as part of a guided tour, we have put together the following list of options. A 1 day tour of the Speyside distilleries from Inverness, which includes a stop at Elgin Cathedral. If you are staying in Inverness, see our guide to more day tours from Inverness for inspiration. A 4 day tour from Edinburgh which includes a number of stops near the NE250 route. Another 4 day tour from Edinburgh which also includes a number of distilleries and NE250 attractions. We’ve explored Scotland and the UK quite thoroughly, and from our travels we’ve put together a number of posts to help you plan your own route. Here are some we think you’ll find useful, as well as some guidebooks and other resources we like to use. Parts of the North East 250 pass through the Cairngorms National Park, the UK’s largest National Park. See our guide to things to do in the Cairngorms, as well as our guide to skiing in the Cairngorms. The NE250 passes by Aberdeen. Check out our guide to things to do in Aberdeen, as well as our suggested way to spend 2 days in Aberdeen. We also have a guide to Aberdeen’s best restaurants. The official website for the NE250, which includes a route map and guide to attractions and lodging along the way. 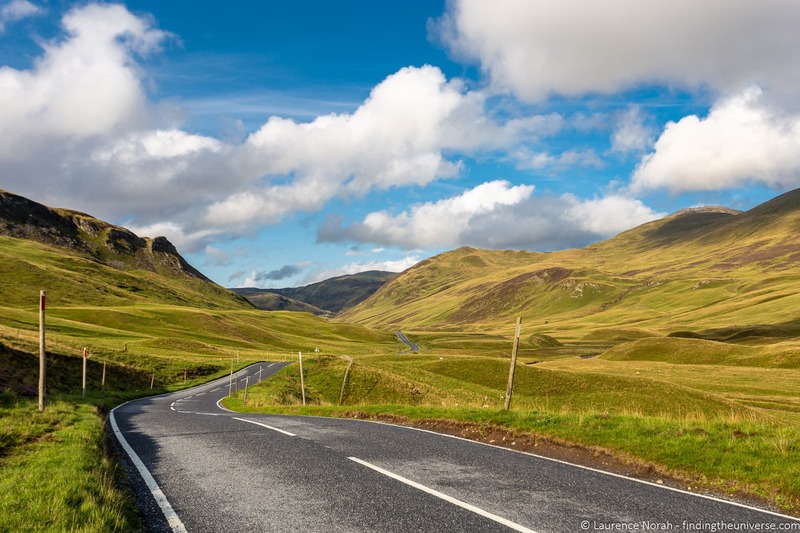 One of the most popular road trips in Scotland is the North Coast 500. We’ve driven this multiple times, and have an number of guides to help you plan. Check out our North Coast 500 guide, 7 day NC500 camping itinerary, 5 day North Coast 500 road trip itinerary, where to stay along the NC500, and highlights of the NC500 to start with. If you are looking for a longer road trip, you can easily combine the North East 250 and North Coast 500. We’ve also written about a number of other cities in Scotland to help you plan. We suggest taking a look at our guide to things to do in Edinburgh and things to do in Glasgow as a starting point! If you’re visiting the UK from abroad, you might want to take a look at our tips for driving in the UK, as well as a guide to how much it costs to travel in the UK. We also have plenty more content on Scotland and the UK for you to check out, including London itineraries, UK road trip ideas, Harry Potter locations, and more! If you’d like a travel guide to bring with you, we recommend the Rick Steves Scotland guide. The DK Eyewitness Travel Guide to Scotland is another popular option. And that’s it for our 3 day North East 250 itinerary! As always, we’re happy to hear your feedback and questions – just use the comments below and we’ll get back to you as soon as we can. Hi great read but do you do one for the west of scotland. Hope to call at loch lomond and mull any idea’s thanks. 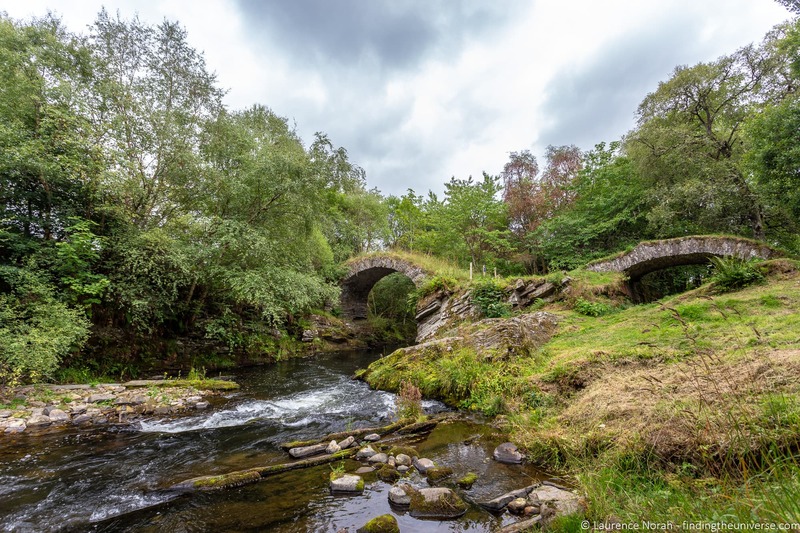 So currently we don’t have a specific road trip itinerary that includes Loch Lomond and Mull, but that is a great idea to add to our to-do list! We did recently notice that there’s a new South West 300 driving route, but that is south of Glasgow. The closest we have is a five day highlands and Skye itinerary (although too far north for you I think), and a guide to Loch Lomond. We also have a lot of posts about the NC500, although that’s a whole different area! For a three or four day trip though, I’d suggest a day in Loch Lomond and the Trossachs, a day covering Glencoe and Oban, and then from Oban over to Mull. On the way back you could complete the loop by heading south from Oban to that area. I hope this helps – we’ll make sure to explore this area more fully and post a better itinerary in the coming year. The site is ruined by too may adverts which makes the site confusing to the viewer. Also whoever designed this route, has missed out many of the most interesting and scenic parts. The route could easily be extended to include more of Speyside, Granton on Spey, The Lecht Ski Centre. No mention of the road from Balmoral to Corgarf Castle, which follows the old military road and includes some fantastic scenery. Get the impression whoever wrote this piece does not know the area and does not do it justice. Thanks for the feedback. We appreciate ads are not ideal, and in a perfect world we’d love not to have to run them. However, as they are the main way we generate a revenue from our sites, we have to have them. We do take user feedback seriously though and always try to make sure they are not negatively impacting the user experience and the ability to find the content you want. In terms of the route, we can’t disagree with you – there is lots more that can be added on in the area. We have explored this area fairly extensively on a number of trips (we live in Scotland). However, we wanted to stay true to the official route of the North East 250 as it’s laid out by the North East 250 folks, which is what we tried to do where possible in this guide. Of course, we always encourage folks to do additional research and find things that they are interested in, and hopefully your comment will give them some ideas to do just that.